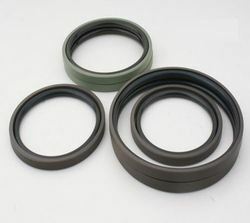 Hydraulic piston seal :- we are 360 Industrial Products, as a specialized hydraulic seal and pneumatic seal manufacturer . We sincerely hope we can establish business relations with your esteemed corporation. SR Seals Piston Seals are used in hydraulic cylinders for fluid sealing and are designed to ensure that pressurised fluid does not leak across the cylinder head as the system pressure pushes the piston down the cylinder bore. The choice of piston seal is decided by the way in which the cylinder operates. Piston Seals are used to seal pressurized fluide or air between the piston and the bore in a hydraulic or pneumatic cylinder. We are an eminent name occupied in offering premium assortment of PU Piston Seals for Petroleum Industry to our clients. Additionally, client can get the offered products from us at very economical prices. 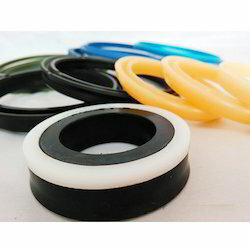 We have All Size of PU piston Seals. our Piston U-Cups are single acting polyurethane (PU) piston seals available in a wide range of sizes. our U-Cups are assembled into closed grooves and mainly used in light duty cylinder applications for mobile equipment.